Logan Fabbro is a well-known Canadian actress, model, dancer, choreographer and television personality. Let’s take a look at her family, personal life, net worth, career, achievements, and some fun facts. Logan Fabbro is a well-known Canadian actress, model, dancer, choreographer and television personality. 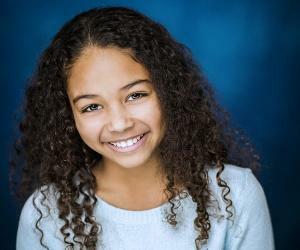 She came into the limelight with her performance as Amamnda in the Canadian television show ‘The Next Step’ that featured her progress through the regional, national and international dancing scenario. She went on to act in the film ‘The Next Step Live: The Movie’ and has also been cast in the movie ‘Jazz Hands’. Born in a middle class Roman Catholic family, she has come a long way due to sheer hard work and dedication. Besides acting, she has participated as a member of the award winning dance troupe in the Canadian national competition and has represented her country at an international competition in Germany. She is active on social media and has a massive following of young fans who are inspired by her dancing skills. She has recently graduated from high school and is yet to decide on her subject for further studies. However, she is certain about continuing with her career in acting and dancing. Her skills have made her one of Canada’s best dancers at the tender age of 19 and she has a truly bright future ahead of her. Logan Fabbro was born on 03 June 1998 into an upper middle class Roman Catholic family in Bolton, Canada. She is of Irish decent and has a younger brother named Christian with whom she was brought up in Bolton. Her parents gave her their full support as she started dancing from the age of three and participated on stage in functions held in her primary school. Later, she joined the Elite Dance Academy when she entered her teens and took active part in dance competitions in series 1 of ‘The Next Step’. Soon she became part of the A – Troupe of the Dance Academy and started making professional appearances on television as well as live on stage for series 2 of the show. She recently graduated from St Michael’s Secondary High School, Bolton. During her schooling she had to work on a tight schedule to balance her academics and dancing schedule. She attended Art and Soul Studio in Kleinburg concurrently with her schooling to further hone her dancing skills. This forced her to give up a lot of other activities girls her age were involved in. After her high school, Logan Fabbro wanted to go to the university and pursue law in order to become a lawyer some day. At the same time, she wanted to continue with her acting and dancing career on the sidelines of her studies. Fabbro got her first major break in 2010 when she participated as a member of Team Canada’s medal winning dance troupe on the national stage. Her agile body, coupled with dancing skills, made her stand out as one of Canada’s promising dancers. In a short span of time she improved upon her style to become one of Canada’s best dancers in contemporary Hip-hop. As she made progress, offers started coming her way for television serials and movies. 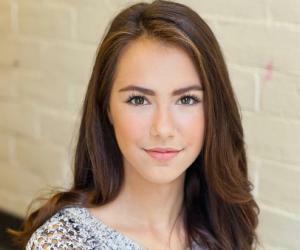 Logan Fabbro made her acting debut in the Canadian teen drama hit, ‘The Next Step’, created by Frank Van Keeken, with her role as Amamnda in 2013. The series is on the lines of a reality show that focuses on a group of dancers who attend a dance studio. It captures the interactions between various members of the group as they progress from regional to national and international competitions. A lot of the footage consists of some spectacular dancing. She went on to act in the film ‘The Next Step Live: The Movie’ in 2015, directed by Derby Crewe, which featured exclusive footage of the dancers from the series ‘The Next Step’ as they prepare for their tour of Canada. It also includes live performances and exclusive interviews with the cast members. In 2017, she appeared as Zoey in the film ‘Jazz Hands’ directed by Kevin Lien and Steven Song. The movie features dance performances wherein the hands are extended towards the audience with fingers splayed out in a web, commonly used by cheerleaders and show choirs. She is active on social media and has a huge fan following of around 300,000 on Facebook, Twitter and Instagram. Her income from each dance episode is reported to be around $ 60,000 and her net worth is estimated at over $ 650,000. At such a young age Logan Fabbro has come a long way from being a middle-class girl. Her dancing skills, coupled with her aptitude for acting and ability to choreograph makes her one of the potential big time stars of Canada. 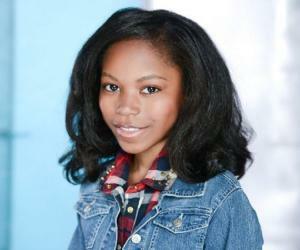 Logan Fabbro made it big with her debut appearance in the television serial, ‘The Next Step’. She went on to give a stunning performance in the films ‘The Next Step Live: Movie’ and has been cast as Zoe in the film ‘Jazz Hands’. Logan Fabbro began dating hockey star, Josh Gagne, in 2014 and is reported to be in a casual relationship with him. 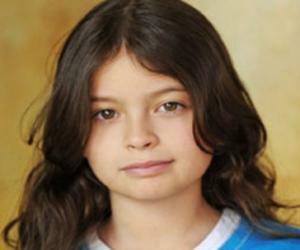 She is also a good friend of fellow ‘The Next Step’ star Victoria Baldesarra, who she knows since the age of four. They often hang out together and have posted several pictures of themselves on the net. She is still rather young to get into a serious relationship with anyone or think of marriage at the moment. Her current status on social media is very much single at present as she intends to devote her time and effort to her career. Her original role in ‘The Next Step’ was the character Emily in the pilot serial that was not aired for some reason. Her favourite music and dance style is Lyrical and Hip-hop. In order to keep her body fit to be able to perform her dance steps she spends a lot of time at the gym. She loves wearing high heels, however, has to pick her footwear to suit her dance steps that do not always go with high heels. She is fond of animals and has a cat and a dog named Carly and Lily respectively. 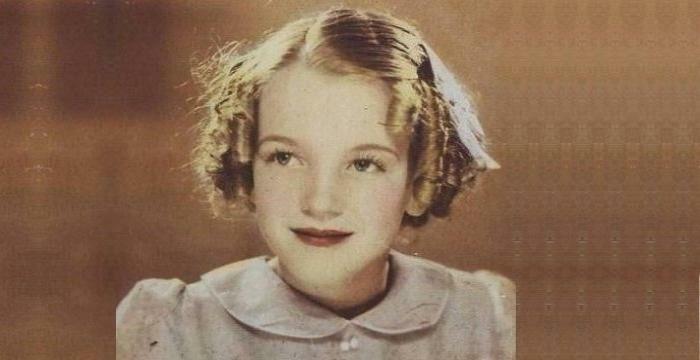 In fact, at one time she thought of becoming a veterinarian by profession. One of her most memorable experiences was travelling to Germany to represent Canada in an international dance competition.